Now he needs help himself, and the following details come from the Pink City football club in Jaipur, but speak from not only their own hearts but also many across India. 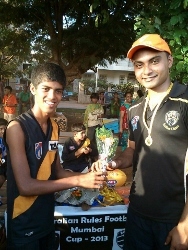 Sumesh has done much to help grow the game and introduce countless kids to the Australian national game. How he needs our help and thoughts.